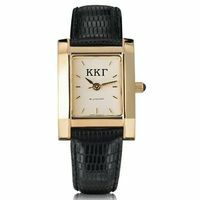 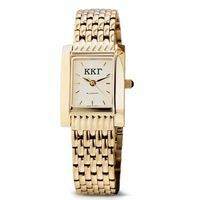 Kappa Kappa Gamma women's steel watch featuring Kappa Kappa Gamma letters at 12 o’clock on exceptional mother of pearl and diamond dial. 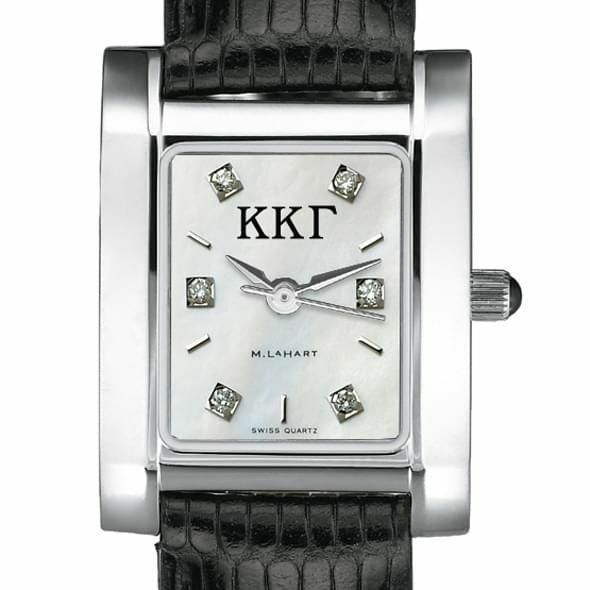 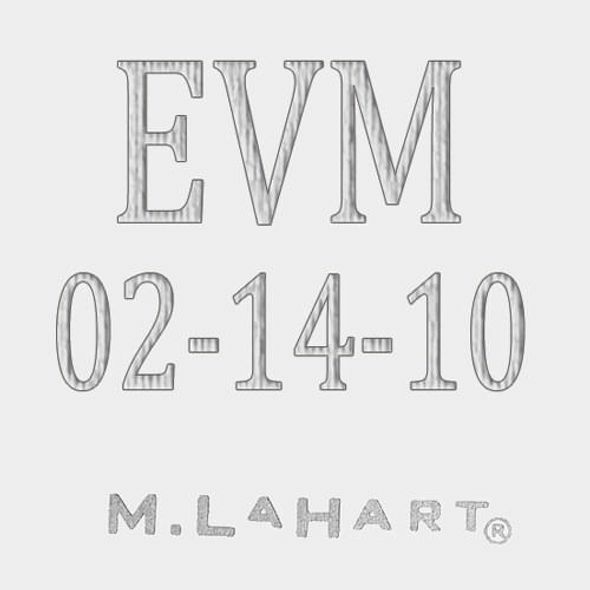 Name and logo are flanked by raised and faceted hand-applied diamond polished markers. 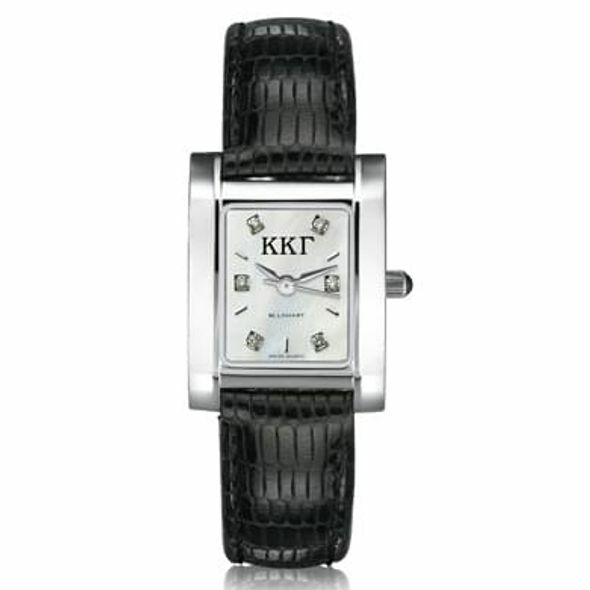 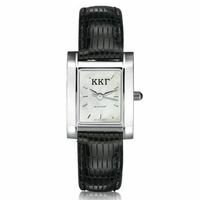 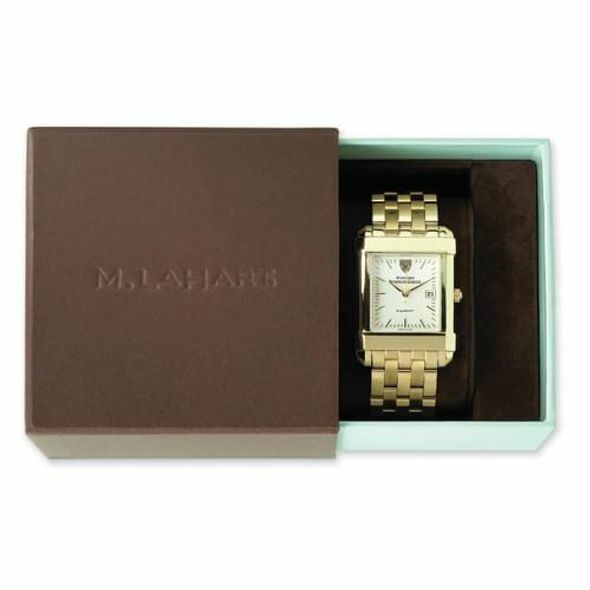 Features six VS1 grade diamonds and genuine scratch-resistant sapphire crystal with Swiss-made quartz movement.